More Sunlight Exposure, Live Longer? Author SimaPublished on March 24, 2016 December 28, 2018 Leave a comment on More Sunlight Exposure, Live Longer? New study in the Journal of Internal Medicine with interesting results. In the study, women were followed for 20 years, and any deaths were put into one of 3 groups: as being from: heart disease, cancer, or other (non-heart disease and non-cancer). Swedish women followed for 20 years found that the more sunlight exposure they had, the longer the life expectancy, the less death from heart disease (cardiovascular disease) and causes other than heart disease or cancer (non-heart disease and non-cancer group), but the more skin cancer (basal cell carcinoma, squamous cell carcinoma and melanoma) they developed. Thus the main finding is of a dose-dependent relationship between sun exposure and life expectancy. One surprising result was that nonsmokers who avoided sun exposure had a life expectancy similar to smokers in the highest sun exposure group. 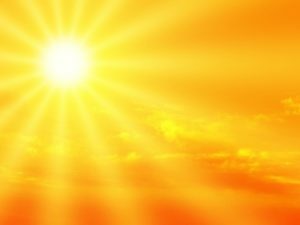 Those who avoided sun exposure had an increased risk of death mainly due to heart disease and "other causes" (non-cancer/non-heart disease). I wondered about other cancers in this study, and this is all they had to say in the journal article: "Thus, women with NMSC (nonmalignant skin cancer) had a 37% higher prevalence of other internal cancers than those without NMSC and a fourfold increased prevalence of MM (malignant melanoma). The incidence of other internal cancer was not increased subsequently on NMSC diagnosis." I now have another question: How do the women with cancer in the high and low sun exposure group do after another 10 or 20 years? I would have liked for this study to continue longer. New research looks into the paradox that women who sunbathe are likely to live longer than those who avoid the sun, even though sunbathers are at an increased risk of developing skin cancer. An analysis of information on 29,518 Swedish women who were followed for 20 years revealed that longer life expectancy among women with active sun exposure habits was related to a decrease in heart disease and noncancer/non-heart disease deaths, causing the relative contribution of death due to cancer to increase. Whether the positive effect of sun exposure demonstrated in this observational study is mediated by vitamin D, another mechanism related to UV radiation, or by unmeasured bias cannot be determined. Therefore, additional research is warranted. "We found smokers in the highest sun exposure group were at a similar risk as non-smokers avoiding sun exposure, indicating avoidance of sun exposure to be a risk factor of the same magnitude as smoking," said Dr. Pelle Lindqvist, lead author of the Journal of Internal Medicine study. "Guidelines being too restrictive regarding sun exposure may do more harm than good for health."